One of the numerous operations jointly run and organized by the empires is the InterBus. 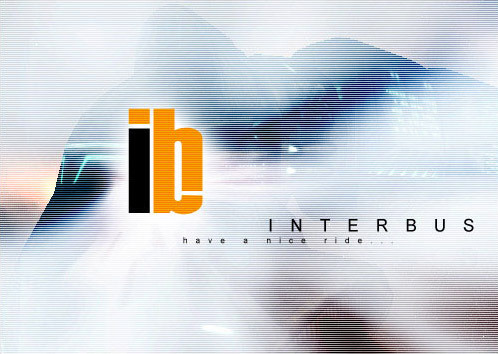 The InterBus is a transportation organization responsible for ferrying people between space stations. The company was formed three decades ago with the intent to support and facilitate passenger transportation in space. At that time such a company was sorely needed, but the huge initial cost of entering the field made it hard for private companies to move into the field. Today, this has changed; there are now a number of independent companies engaged in ferrying people between space stations, the biggest of them is the Gallente-run OmniBus company. "...Interbus must offer service to all stations, placed in solar-systems that have a stargate leading to a solar-system that is a part of the program. Exempt to this rule are systems that exceed a graph distance of 13 jumps from the Interbus headquarters..."
In order to do this efficiently InterBus has had to tread a fine line between serving their governments faithfully while at the same time establishing trust with all the motley assortment of stations appearing all over the place. The board of the InterBus has successfully managed to stay clear of any quarrels and conflicts that regularly emerge between the empires or other factions. The result is that even if InterBus isn’t exactly welcomed with open arms everywhere, they’re still perceived as useful and neutral enough to be allowed to operate. The InterBus system, spanning almost the whole of the known world, is both a cheap, reliable transportation method for those without access to other space ships and a safety net for all space travelers that get in trouble - many careless explorers or unlucky merchants would never have made it home if it weren’t for the service of the InterBus.